As a lord, you are responsible for the management of your kingdom, but you must share this responsibility with your “heroes”. The heroes can manage your armies and act as a governor when necessary, and they can provide various bonuses to make your work easier. Moreover, the higher their level, the better these bonuses will be. 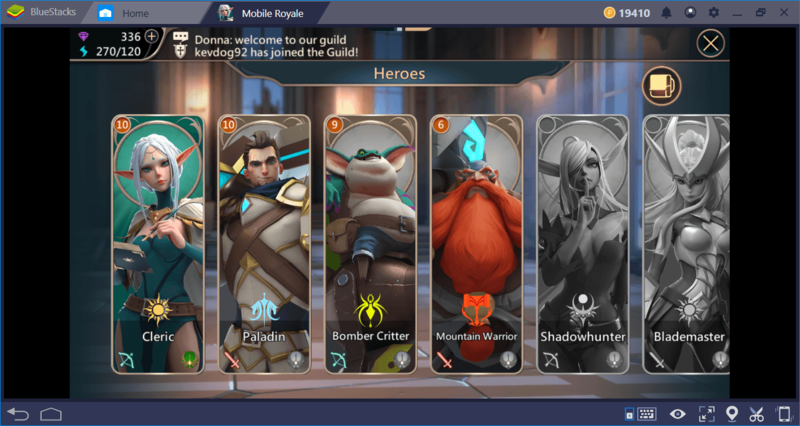 So, where can you find heroes and how to level them quickly? Below, you can find the answers to these questions and more. If the ring above the character portraits glows, you can use a skill. 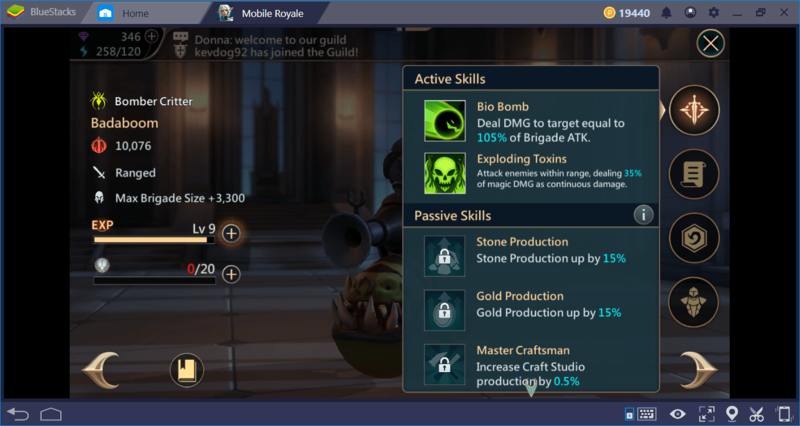 Remember that each skill has a different cooldown (CD) time. So once you have used it, you will have to wait a certain time before using it again. An example of the telegraph system. The skill can only be used in the area that is specified with the large ring. You control the small ring and decide exactly where to use the special combat power. If you are a healer, bring the ring on your units. If you’re a warrior, keep it on the enemy troops. This character has the appropriate abilities to become the commander of the armies. It would be better to determine someone else as governor. 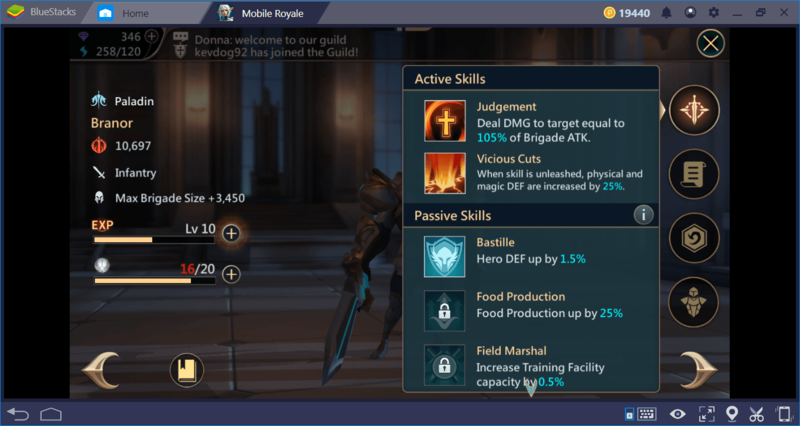 Pay attention to passive skills: it’s a better idea to assign this character to the city’s management because it provides a lot of bonuses for production. As you can see from these explanations, you don’t have to send all of your heroes to battles. By assigning them as governors, you can get various bonuses for production and construction. 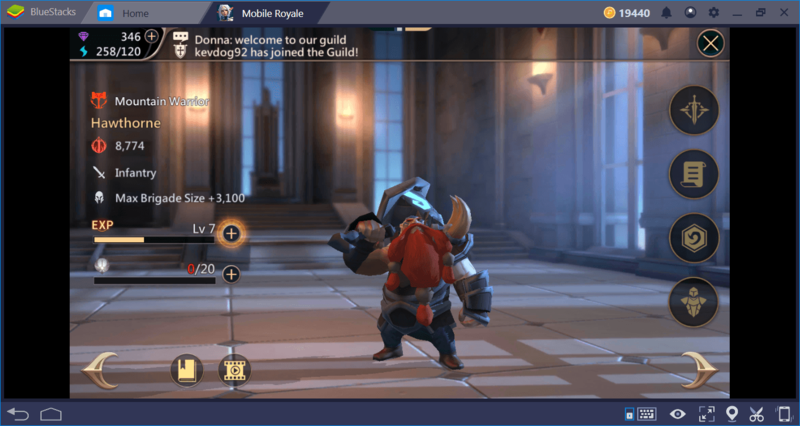 To determine which hero will remain in the city, click the portrait in the upper left corner of the main game screen. This paladin does not have good bonuses for the city administration – we must change him. From here, you can choose the new manager of the city and start taking advantage of the bonuses. Complete the campaign tasks. 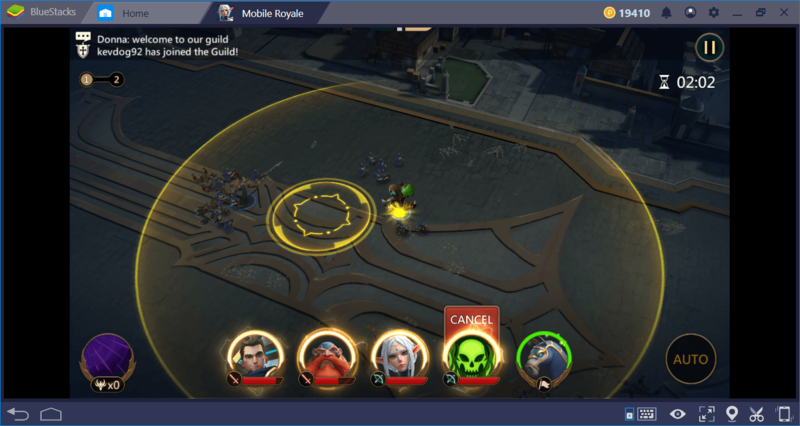 You will get some heroes automatically after completing a certain stage in campaign tasks. For example, “Mountain Warrior” joins you when you start Chapter 2. Collect their soulstones. 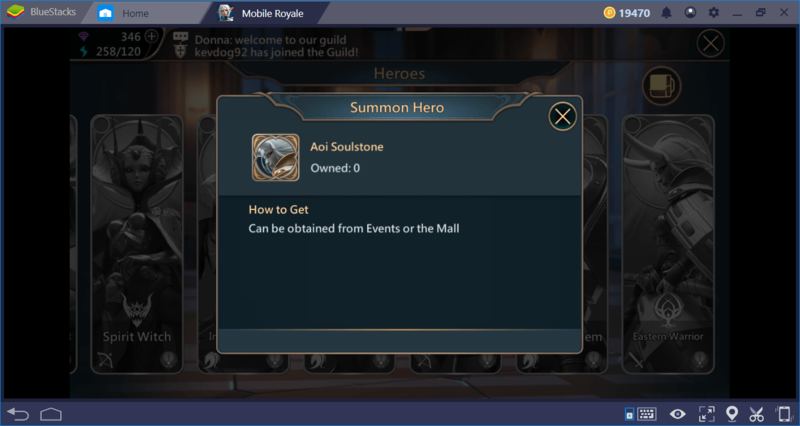 Each hero has a certain number of soulstones and you can collect them by completing the campaign missions. Think of them as “shards” – if you collect all the pieces of a character, you can summon that hero. Click on the heroes to see where to collect their stones. Purchase them. 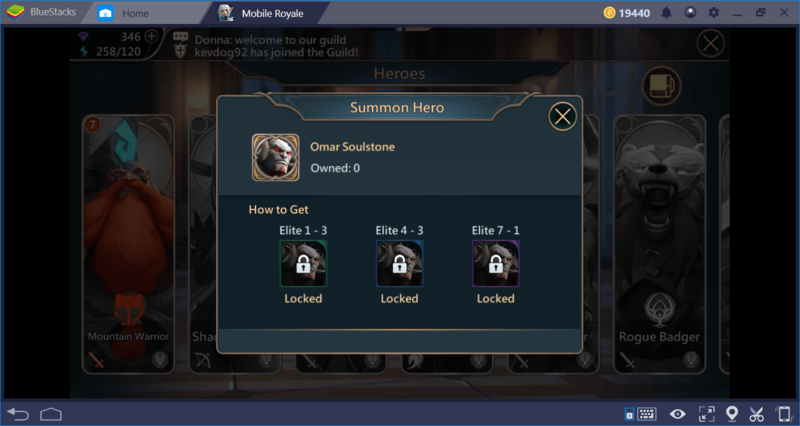 Some heroes can only be purchased from the in-game store or can be obtained through limited-time events. 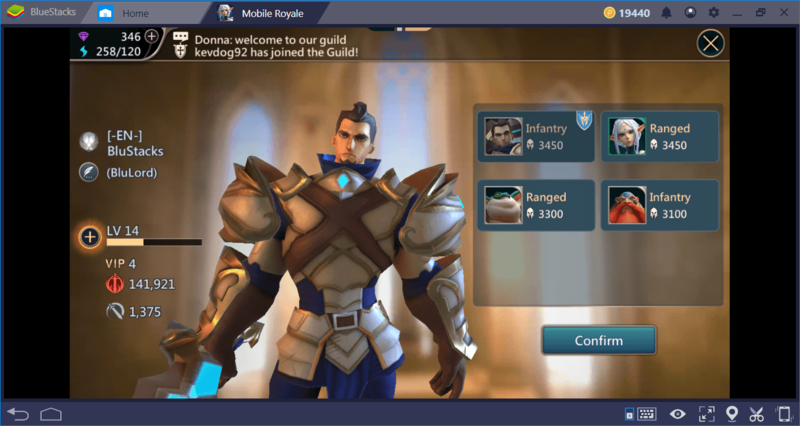 Below, you will find a table that shows you how to get all the Mobile Royale heroes. There are two ways to make your heroes stronger: First, achieve XP points by completing PvE and PvP missions. 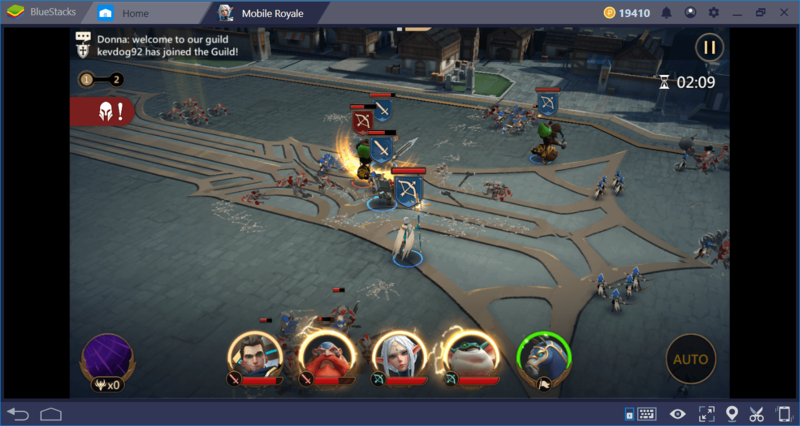 Each hero automatically rises to the next level when you collect enough XP points, so you don’t need to do it manually. 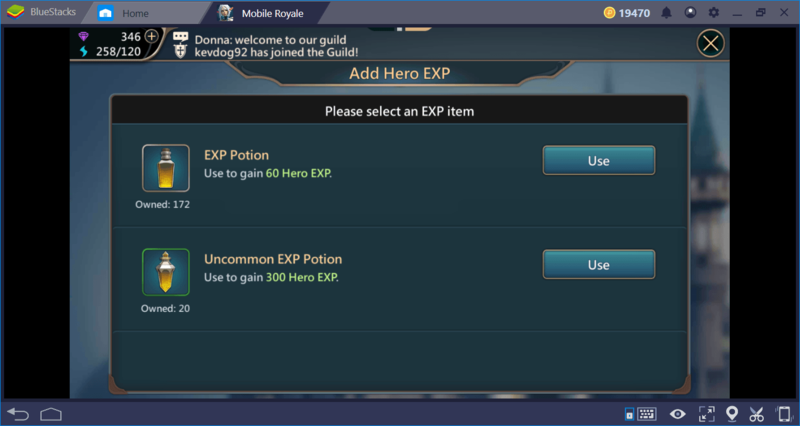 However, if you want, you can focus on a specific hero and use the XP potions you earn from campaign missions to level him faster. The second method is more effective because it allows you to increase the rank of their active and passive skills. For this method, you should collect the soul stones mentioned above. Almost every campaign mission allows you to get the soulstones of a different hero. So, you will continue to collect the stones of a character you already unlocked. When you collect at least 10 pieces, you can promote a hero and make his skills stronger. Start by clicking on the marked location. The numbers here show the maximum number of soulstones that can be collected. For example, we can collect up to 50 stones for this character. Here, you can see what happens as a result of the promotion. 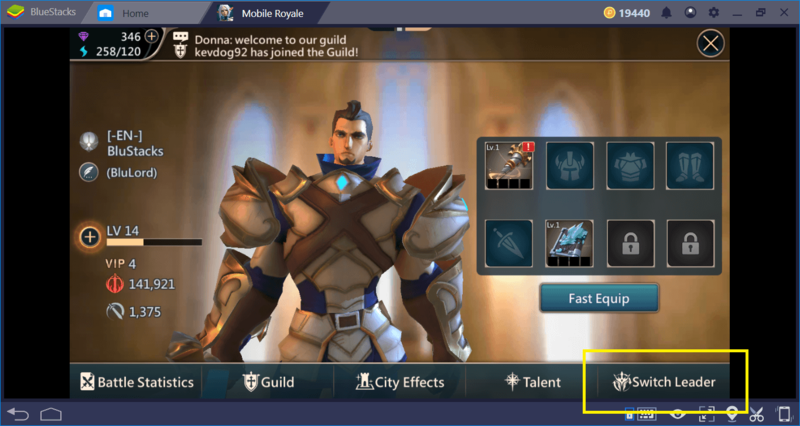 Each skill has 5 different grades and by promoting a character, you can switch to the next grade. 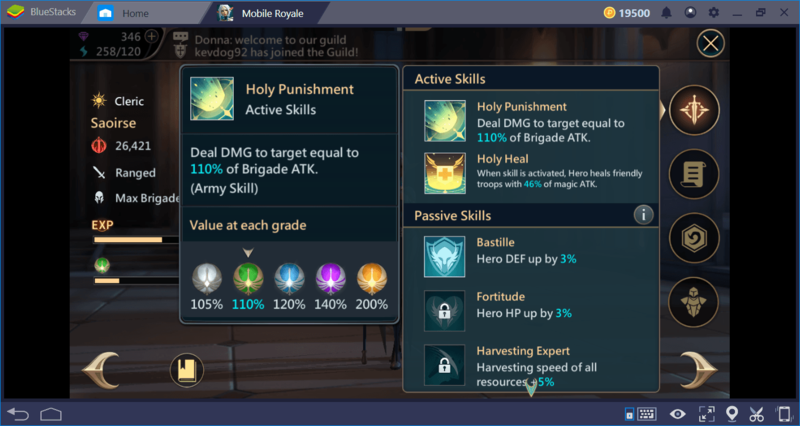 This process also affects passive skills, so you can also increase the city management bonuses too. 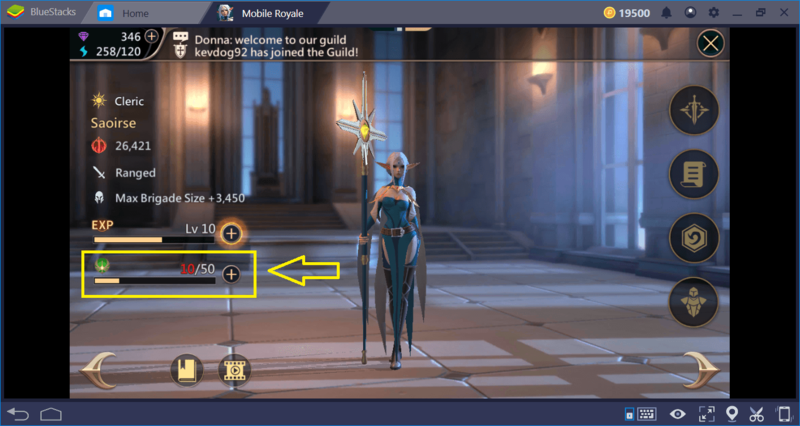 It is also possible to empower your heroes with equipment, but we will mention this in another guide: To continue, we recommend that you take a look at our Buildings and Lords guide. Remember that you can only assign one hero to the city administration, but your armies can have more than one commander. And the more commanders you bring to battle, the more bonuses you’ll have. Now, you learned how to lead your heroes, my lord, so it’s time to achieve victories!